Some footprints will remain for days. Traditional settlements outside the coastal towns. 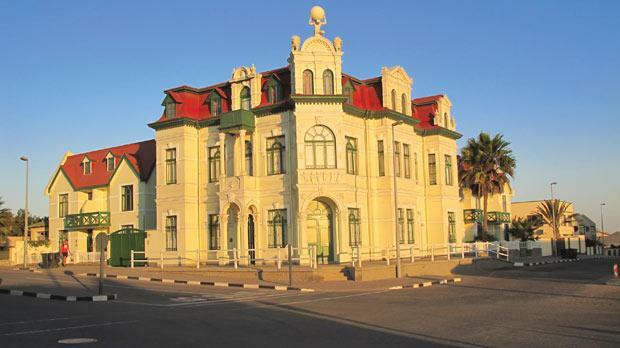 Imposing German architecture in Swakopmund. Once inside there is nothing. From every angle the desert is the same, indiscriminate piles of sand connected by sweeping curves and steep walls. With each step nothing is achieved. The foot sinks in, the leg pulls it out, and the body moves onward to another indistinguishable angle. A drifting eagle contemplates its chances before soaring into the distance... leaving me alone, again. 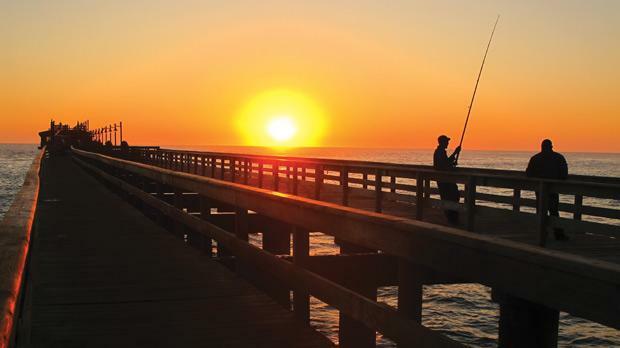 An African sun drifts away, supplanted by a lucid moon, but still I see nothing but sand. 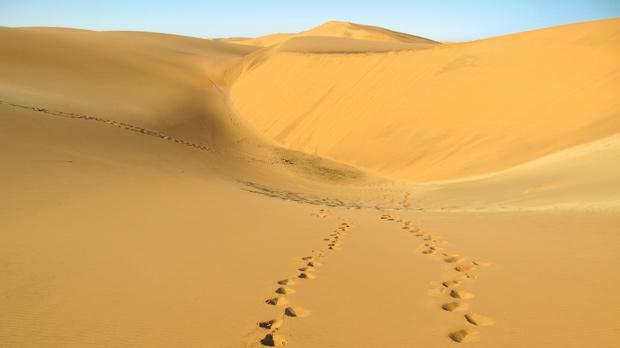 The desert and the dunes are both synonymous with, and a metaphor for, Namibia. After an hour I thought I’d seen it all. After 10 days I knew that nobody could ever see it all. At first my eyes behaved like the automatic lens of a cheap camera, everything seemingly just out of focus, nothing breaking the monotony of the landscape and appearing as a sharp image. In the southernmost 400 kilometres of the country I counted the vehicles passing the other way: 21 in five hours. Gradually the desert grew greener but only at the speed of sound could the changes be perceptible. In a miniscule settlement along the road I met Antonio Da Silva, a diamond ‘distributor’ (the politically correct term in the underground gem scene of illegal searching and smuggling), with a Mediterranean goatee and a catalogue of Prince Charles jokes. His story was marked by fortune; the good health that followed a fortuitous find and the years scraping by when the luck faded. Most of Namibia’s inhospitable 2,000-kilometre coastline is de­marcated for governmental diamond exploration. Antonio re­membered a time when expensive jewels would sparkle in the sand. Wooden ghost towns along the coast are testament to this. He claimed to know the exact location, 130 metres below ground, of millions of dollars worth of diamonds. He just needed to figure a method of digging quicker than the marauding sand would refill the hole. Along Namibia’s piece of Atlantic Ocean the sand dunes start immediately, growing out of the water with no consideration for sunbathing space, attacking the landscape with the same aggression as colonialisation. Shipwrecks, now half buried, occasionally punctuate the Skeleton Coast, ominous signs that convinced the European empires that Namibia was not worth exploring. Only after the Europeans had politically divided their southern Africa ‘conquests’ did the Germans arrive, picking a way through the arid interior and discovering Namibia’s treasured gems in 1884. In Namibia’s leisurely prosperous towns, the remnants of Germany are unavoidable. Coastal towns like Swakopmund feel like Germany with palm trees. Buildings have the grand façade of Bavaria, pastel painted and imposing themselves with an impressive haughtiness. Most locals introduce themselves in German. A strict order manifests itself, replacing the wildness of Africa. Things run on time – German time – as opposed to a more languid African time suited to the climate. However, moving away from the coast I’m reminded that Namibia is very much African. Miniscule collections of mud-brick huts form villages along sandy tracks exclusively for pedestrian transport. Self-sufficient families raise cattle, trading their assets for vegetables and cotton. 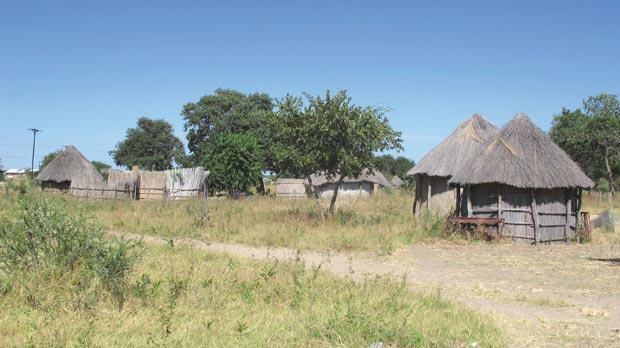 Along Namibia’s panhandle, the Caprivi Strip running eastward to Zimbabwe, nature has right of way. Goat herders plod their way home. Bushmen chase springbok into the horizon, sidestepping a path into oblivion. Disobedient cows sleep in the road. Underneath a straw roof a mama cooks a three-legged pot of stewed beef on an open fire. 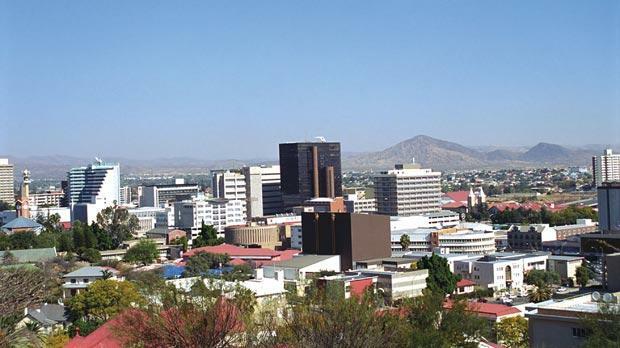 In the middle of the country, capital city Windhoek has yet to decide whether it’s German or African. It comes as a visual shock: buildings, lights, cars… so much action after hundreds of kilometres of travelling and seeing nothing distinguishable. Functional office blocks rise from the desert, control towers of Namibia’s burgeoning economy. But at ground level the hustle of local trading continues. Second-hand stores sell mobile phones, 1950s farming equipment, gas cylinders, tyres and tribal masks from hidden villages. In Windhoek I met Joe, a perennial hoarder who revelled in second-hand goods. Joe refused to get rid of anything: empty oil drums, rusty frying pans, road signs, bicycle frames… everything would one day have a use. On their own each item was inane. Together, cramped along the shelves, hanging from the ceiling, tied to walls, his post-modernistic antiques became the decoration for Namibia’s most famous bar: Joe’s beer house. An old Mini sat on the roof; rope tied a wheelbarrow to the ceiling; over 20 animal trophies stared vacantly and scarecrows sat on toilet seats. In five rooms of drunken scrap yard experimentation, Joe had crossed the African desire to trade and collect with the European ethos of individualised decoration. But while places in the capital managed or illustrated this conflicting diversity, it was deep in the desert that Namibia was its own. No walk in the desert is ever the same. Some footprints will remain for days; a lizard, a camel, a barefooted tourist. Others are swept away before nightfall, the evidence of life forever disappearing as the sand keeps coming and coming. After 10 days I knew that nobody could ever see it all. Slowly I lost myself in Namibia’s overwhelming power. Walking, walking, driving, driving, and knowing that in Namibia I was forever on a journey that nobody would ever replicate. 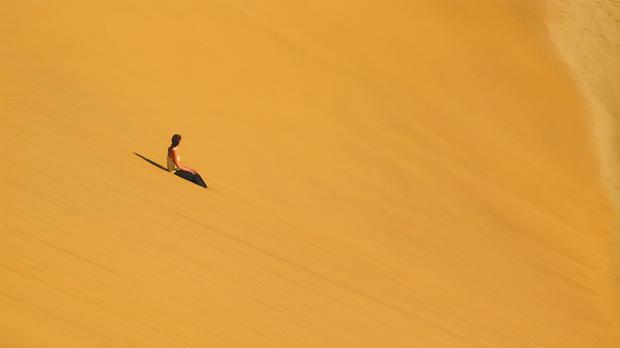 In a landscape of fascinatingly delicate nuances, Namibia is a place where everyone will see a different angle.